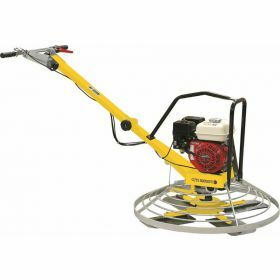 The concrete power trowels are suitable for leveling of small and medium-sized paving. 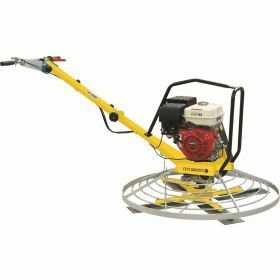 All trowels are equipped with centrifugal clutch, with a safety system that turns the engine off if you leave the lever on the controls and feature a folding handle to save space during transport phases. 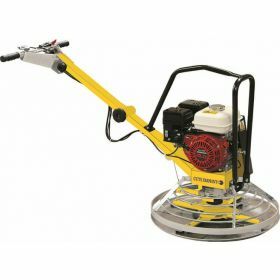 Various models are available that change depending on the diameter of the blades and on the different engines: gasoline, diesel or electric version. The latter version is recommended to be used in closed environments because of the reduced noise level and because of the absence of exhaust gas.